We hit two new antique stores today. 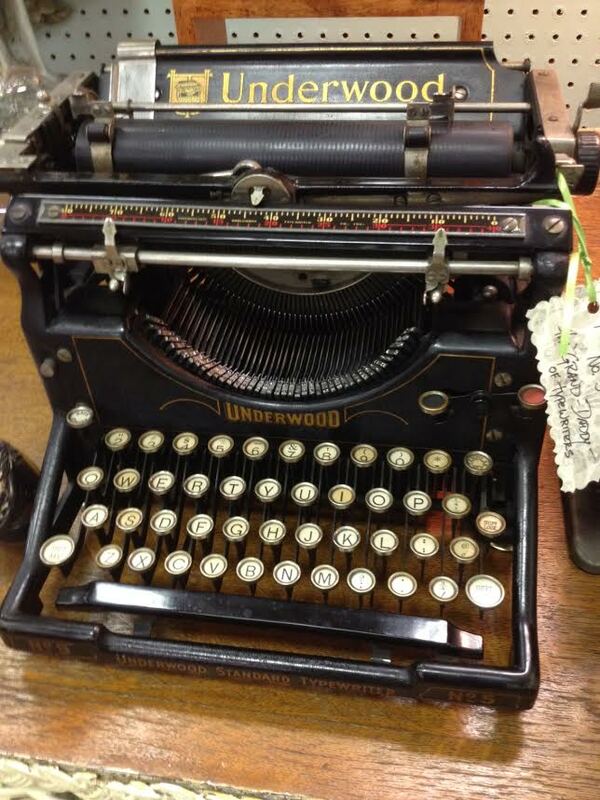 At just about every one I’ve gone to the past few weekends, I always come across an old typewriter – manual or electric. They are usually Remingtons, but this old Underwood was just amazing. Sadly, they are also usually overpriced. At least $75 or more. This one was almost twice that much. I’d love to own one, just for the nostalgia of having one. I did type on one many years ago! And being a writer, it’s just a nice symbol for the craft, don’t you think?